20 participants from IHEC’s gender unit participated in the first of a series of capacity building activites planned to support IHEC in the period leading up to the upcoming elections. The workshop, jointly organized by the United Nations Development Programme (UNDP) and UNAMI, in cooperation with IHEC, aimed at enhancing the capacities of the gender team to promote greater political participation of women in elections both as candidates and as voters. “We believe that women are not only half of population but are the whole society, that is why the strategy of the Council of Commisioner is focusing on supporting the gender team as central part of IHEC structure”. 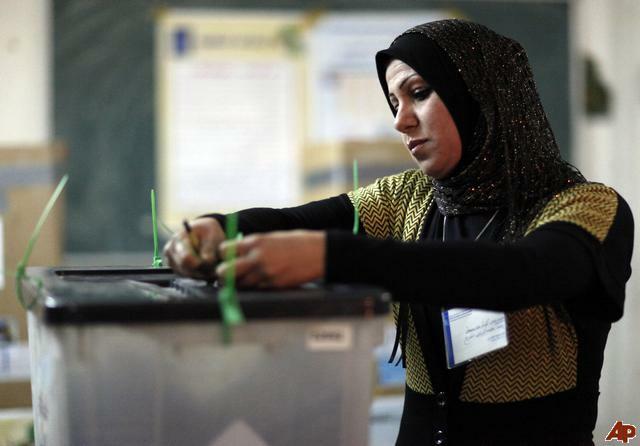 “Women’s political participation in Iraq is characterized by progress as well as setbacks. In terms of numerical representation at national and local governance levels, Iraq has some of the highest rates globally. “The gender gap is one of the main issues that UNDP took into consideration in developing its support for the delivery of free, fair and transparent elections. We are aiming to fully support IHEC’s gender engagement strategy and to empower the role of women in elections as candidates, political activists, voters, CSO actors, throughout the electoral cycle”. Facilitated by UNDP’s gender specialist, the workshop reviewed the electoral processes from a gender perspective, referring to the importance of building gender classified data and to learn from good practices of promoting women participation in electoral processes. After the workshop, participants will hold a one-day meeting targeting gender units in line ministries in order to collaborate and coordinate efforts of raising awareness of women and men in the public sector and encouraging more active participation in the elections. Additional workshops will be facilitated by UNDP and IHEC’s gender team at the national and provincial levels. These workshops will also suppot the gender unit to conduct a review of election materials from a gender perspective and to help the team establish a social media platform to promote greater participation of women in the upcoming elections. UNDP and UNAMI are jontly planning to support IHEC’s gender team activities In priority areas of gender mainstreaming the election process with focusing on encouraging active women participation in election and enhacing capacities of IHEC’s gender focal point in governorates to ensure gender mainstreaming in electoral process.